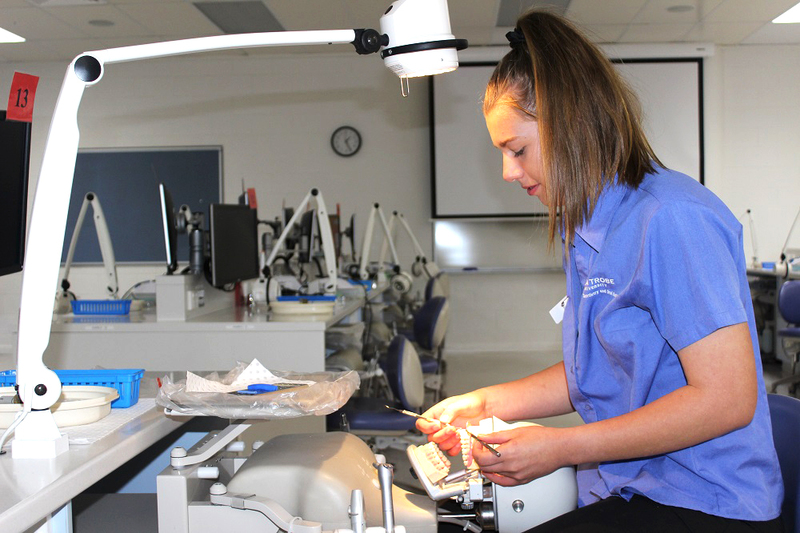 La Trobe University is making it more achievable for regional and rural Year 12 students to qualify for its high-demand dentistry course. For Adelaide Annand in Bendigo, the university’s unique Regional Reward was instrumental in getting her over the course’s high ATAR line. Adelaide is now almost one year into the five-year Bachelor of Heath Science and Dentistry, Master of Dentistry course, thanks in part to the Regional Reward. This program rewards rural and regional dentistry students with up to 15 bonus ATAR points, work placement and a grant of at least $1000 to study overseas. The Bendigo dentistry course had been on Adelaide’s wish list since she completed work experience at Bee Happy Orthodontists in Year 10. The high-achieving student attended Crusoe College then Bendigo Senior Secondary College, where she learnt the ATAR to qualify for the dentistry course at the time was 99.4. In the end Adelaide earnt herself an ATAR in the low 90s. That, coupled with the bonus points, comfortably got her into dentistry. Adelaide says studying regionally has also been terrific, meaning she can stay in her home town, connected to family and friends. “I’m hoping to work at a dental practice in Bendigo, then either open my own practice or go on to do further study and become an orthodontist,” says. Aside from that week’s work experience in high school, Adelaide is no stranger to the orthodontist practice. As someone with braces she says she was always fascinated with the process. Just recently she attended an appointment to have her wires tightened, with the same orthodontist who inspired her during work experience in high school.